Approval of the new criteria broadened the labelling for Crestor, and opened the door for widespread marketing, aimed at targeting persons without a history of heart disease, yet considered to be at risk, if their blood level of C-reactive protein (CRP), a marker of inflammation, was raised. Several such risk markers have received attention in recent years, amongst which are Lp PLAT2, Lp(a) and CRP, the latter having been recognised as a risk marker in several early studies since 1990. These studies include AFCAPS/TEX CAPS, the Scotland Coronary Prevention Study, and more recently PROVE-IT-TIMI 22, REVERSAL and PROVE IT. (2005), involving the use of lovastatin, pravastatin and atorvastatin. These studies suggest a class effect for CRP reduction by the HMG co-enzyme A reductase inhibitors. 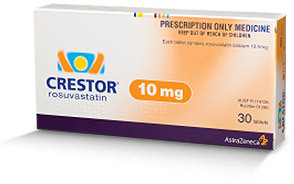 (statin drugs), rather than an isolated rosuvastatin (Crestor) effect. The study was conducted on 1315 sites in 26 countries, and randomly assigned 17,802 participants to a control group, using 20mg rosuvastatin, and a placebo group, in a 1:1 ratio distribution. Of the original 19,323 potential participants, 1,521 were excluded from the study for various reasons. The trial was scheduled for 4 years, but was prematurely terminated at 1.9 years, because of a perceived benefit in the control group. The FDA approval for high dose Crestor ignores the findings from several earlier studies involving less expensive and lower dose statins, with similar outcomes of CRP reductions. The widespread euphoria following the publication of the study results also ignored 2 important facts, ie. that several non-pharmacological strategies are available for lowering CRP, and that unwanted adverse effects, such as recorded in the Crestor arm of the study, can be avoided by the use of such strategies. The JUPITER study researchers reported a 43% reduction in cardiac events (the primary end point ) for the Crestor group, compared to a placebo group, prompting the prediction that if 100 persons with elevated CRP levels took 20 mg. of Crestor, 43 could be saved from a cardiac catastrophe. Some press reports claimed that almost half of all persons taking this drug would be spared a heart attack ! High dose Crestor in this study achieved a marked reduction in LDL, from 108 mg/dl to 55 mg/dl, which is a 50.9% reduction, and a 37% reduction in CRP, from 4.25 mg/L to 2.2 mg/L. Despite the high dose of Crestor (20 mg), optimal CRP levels of below 0.55 mg/L (males) and 1.5 mg/L (females) were not achieved and a significant number of subjects in the Crestor group suffered “major cardiovascular events”, while the all-cause mortality was very similar in both groups. Dr. de Lorgeril and his French colleagues, having reviewed the trial data, reported an estimate of 12 cardiovascular deaths in each group, concluding that the lack of benefit for cardiovascular mortality, and the high rate of non fatal complications, suggested a bias that prompted early termination of the trial, rather than its continuation. EARLY TERMINATION OF STUDY – WHY ? The primary endpoint was broad. Kaul also demonstrated that in 2 randomised controlled trials (RCT), namely, OPTIMIST and CHARM, early benefits for the study drugs compared with placebo, actually disappeared at the final evaluation of the study. The practice of early termination, therefore, allows for a bias that exaggerates benefits and minimises the long term harm of the treatment that is being evaluated. The claim by the study researchers of a 43% risk reduction for the Crestor group needs to be critically evaluated by reviewing the actual figures that emerged in each group. The 43% figure creates an inflated measure of benefit, since it represents relative risk reduction (RRR) and not absolute risk reduction (ARR). A relative risk reduction is merely the ratio of the number of events per 100 persons in the experimental group to that of 100 persons in the control group. Of the 17,802 men and women in the study, the rate of primary endpoint occurrence was 1.36 events per 100 person years of follow up, while in the control (Crestor) group it was 0,77 events. In other words, if 10,000 study subjects did not take Crestor, 136 of these might be expected to experience a cardiac event in 1 year, and if 10,000 subjects took Crestor for a year 77 subjects would be expected to experience a cardiovascular event. Using these figures, the researchers calculated a relative risk reduction in the control group of 43%, reported in the media as “almost 50%” risk reduction. Clearly, this is a gross exaggeration of benefit. Using the same figures, and calculating the absolute difference in outcome rates, the absolute risk reduction appears as a mere 0.59%, the difference between 1.36% and 0.77%. The absolute difference, or absolute risk reduction therefore of 0.59%, is less than 1%, and thus a small and insignificant benefit. A reduction of the primary endpoint (myocardial infarction, stroke, arterial revascularization, hospitalization, death) rate of 0.59 events per 100 person years is not convincing at all. THE VALUE OF CRP ? Jupiter gives support to the theory that atherosclerosis is an inflammatory disease, and that CRP may serve as one of several markers for inflammation, within the arterial wall, or elsewhere. Markers more specific for vessel wall inflammation are LpPLAT2 and LP(a). This proposal undermines the rationale for the Jupiter Study. If CRP is only a marker for some other unidentified process, then targeting the marker with drugs is unlikely to provide a preventative benefit. 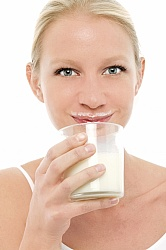 Patients with high CRP levels should be targeted with counsel to modify their lifestyle and diet. Improvements in lifestyle is likely to be reflected by decreasing levels of CRP. It is well known that exercise, vitamin C and omega 3 can lower the risk of morbidity and mortality, and give rise to reductions in CRP levels. These claims, as proposed by lead investigator Dr. Robert Glynn, were challenged by Dr. Rita Redberg (University of California) stating that data for elderly patients are limited, and that the benefits of statins do not outweigh the potential harms of the drug in this healthy patient population. The small difference in the number of deaths from all causes between the control (Crestor) and placebo group raises serious questions about the validity of the proclaimed benefits in the control arm. ( 2.2% vs 2.8%). In addition, the absence of data for cardiovascular deaths is a further cause for concern about the claims of benefit. An added concern is the increased incidence of newly diagnosed diabetes in the Crestor group, with 270 (3.0%) cases being reported in the Crestor group and 216 (2.4%) cases in the placebo group. It is conceivable that, in the long term, these additional 54 cases of diabetes in the Crestor group might negate the slight cardiovascular benefit observed. A comparison of the adverse effects reported in the Crestor group vs placebo group are as follows. Muscle weakness and pain (1421 vs 1375); myopathy (10 vs 9); rhabdomylosis death (1 vs 0); renal disorders (535 vs 480); hepatic disorders (216 vs 186). The total no. of adverse effects recorded in the Crestor arm was 2173, versus 2041 in the placebo group, an excess of 132 cases. The numbers of serious adverse events recorded in JUPITER was 1352 (Crestor) and 1377 (placebo). The results from Jupiter reveal a mix of gains and losses for primary prevention with a high dose statin, but these gains are not without cost. Since it is likely that these benefits and risks are a class effect, the concerns raised by this study must apply to all other statins, and should not be limited to the actions of Crestor alone, despite its superior potency. In June 2010 Dr. Kausik Ray and his team reported a review of the all cause mortality in 11 randomised statin trials involving more than 65000 high risk subjects who had no history of cardiovascular disease. While JUPITER highlighted the significance of CRP reduction, it offered no new insights, and represents a Crestor study rather than a CRP study. It has been repeatedly demonstrated that elevated CRP can be reduced by lifestyle modification, without exposure to the morbidity and mortality risks that were clearly evident in the Crestor arm of the study. 1. The involvement of Paul Ridker in an industry funded study,which aimed to promote a product for which he is co-inventor and patent holder (hs-CRP testing), raises inevitable questions of inescapable conflict of personal interest, a major ethical issue which must detract from the relevance and value of the study. Commercial interests were therefore not divorced from this study. healthy persons”, allowing for extrapolation of treatment principles to “healthy population groups”. The subjects, however, were not healthy, many having physical conditions determined by poor dietary and lifestyle choices. The baseline medium BMI was 28.3 (interquartile range 25.3 to 32), and at least 80% of them were overweight or obese. At baseline 41% had metabolic syndrome, and thus at high risk for morbidity and mortality, with more than half having a Framingham risk score exceeding 10%. After 1.9 years 270 in the Crestor group, and 216 in the placebo group had become diabetic. No attempts were made to counsel these subjects about lifestyle options before administering a potentially toxic drug, and no consideration was given to the projected cost of drug treatment. Prescribing Crestor 20 mg daily to 120 people (NNT 120) for 1 year at a cost of € 100,000 in order to prevent 1 hard cardiovascular event, is a major ethical indictment when a lifestyle and dietary intervention programme would have been much less costly and without adverse events. The message that immortality can be found in a pill, so widely and so loudly propagated by this trial and its spokespersons, is not only false and futile, but a failure to maintain the highest standards of ethical care which is surely the mandate of all clinicians. 3. The potential for bias in deciding to terminate the trial prematurely raises ethical questions about integrity of purpose in study design and process, the accuracy of interpreting the outcome data, and the validity of treatment recommendations for future populations based on surrogate endpoints for mortality which have the appearance of being selectively determined. 4. The focus of the study was blurred by the premise that CRP is a justifiable surrogate endpoint to predict mortality, and that the use of a potent statin, like Crestor, to achieve this endpoint is justifiable. This trial was a a study of rouvastatin (Crestor) and not CRP testing, since CRP was not tested against an alternative risk marker, nor against subjects with CRP levels lower than 2 mg/ L.
The extravagant conclusions about the merits of hs- CRP testing are thus not valid. 5. The practice of subjecting these particular participants to drug intervention without first offering them counselling and advice regarding dietary and lifestyle changes is unacceptable medical practice, and therefore unethical. In the real world patients who present with evidence of the metabolic syndrome would be offered such counselling prior to embarking on a programme of pharmacological intervention. The JUPITER study was aimed to justify the use of a potent statin in the primary prevention of cardiovascular morbidity and mortality. This group of persons, assumed to be at undetected risk, comprises 75% of statin users today, and the extravagant claims by the trial authors “is likely to propel many healthy persons without elevated cholesterol levels onto long – term statin treatment”, according to the French researchers, Dr. Michel de Lorgeril and associates. A similar conclusion was reached by researchers at the University of Cambridge, UK. Dr. Kausik Ray and his team performed a meta-analysis of 11 randomized controlled trials that assessed the effects on all-cause mortality of statins versus a placebo or control therapies on all-cause mortality. The meta-analysis (which also included previously unpublished data) involved 65,229 men and women , with approximately 244,000 person-years of follow-up. In this meta-analysis all-cause mortality was not significantly different between patients taking statins and those taking placebo, or control therapies. Justification for the use of statins in Primary prevention has not been established in this study. A review of data from this and previous studies clearly demonstrates that treating healthy persons with statins confers no health or mortality benefit, and has no place in responsible health policy. The lack of cost effectiveness in such a strategy further mitigates against its implementation in health care policy. 16. Arch Intern Med 2010; 170 (12): 1073-77 Kaul S et al.